We're giving our kitchen a facelift. It's not a full blown remodel, although it feels like it. We replaced the countertops and backsplash, and the floor. We painted the ceiling, the walls and the cabinets, and we replaced the fixtures. We also changed the lighting. Then, we we moved into the room adjacent to the kitchen and then the adjacent bathroom. It feels like a full remodel, sans dining room and family room...for now. Thing are out of place. There are boxes and barrels and paint supplies and clutter...everywhere. People are coming and going and there is construction noise all day, every day. There are decisions to make and sometimes, nightly trips to Lowe's as one project moves to another. It's productive and ultimately, it's adding value (and loveliness) to our day to day lives, but it has its challenges. Before all of this began, we planned on adding a few ceiling fans in other rooms of the house, and adding a couple of outlets, but this turned into a complete rewire, updating the 1910 nob and tube wiring and bringing the house to code. It's safe now, and it brought peace of mind, but as you can imagine, it feels like we're hemorrhaging money. Like others who have updated their homes in one way or another, we have found that there are a few obvious realities. Truth #1. We have too much stuff. My Fix: Reduce, recycle, donate. As we emptied drawers and cabinets, a glaring truth stared me in the face. Why on earth do we have so many stuff? When households merge, the stuff doubles. Keep the best and donate the rest. Recycle what you can't donate. This includes duplicates of most things...extra pots and pans, skillets, single use kitchen appliances, and gadgets that a kitchen knife can handle. Truth #2: We have a paper clutter issue. 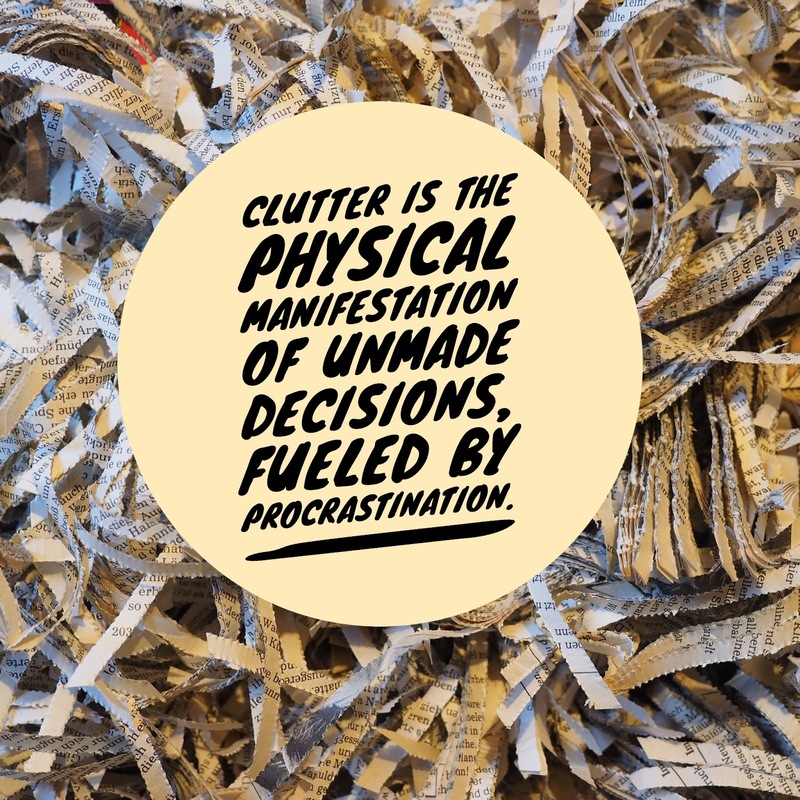 Sort paper into piles of unread magazines, newspapers for the animal shelter, junk mail and bills. Encourage my husband to opt out of paper notifications and set up auto payment with a credit card with points and miles wherever we can. Shred old notices and clear the clutter. This downstairs facelift, although exciting and fun, is also overwhelming for me. My husband may be overwhelmed with the to-do list, but I am overwhelmed by the sensory disruption and the decisions to be made. I do better with more order and less choice, like pick A or B or, the blender goes here. With the house in a state of chaos, my retreat is upstairs, where things are as they were. 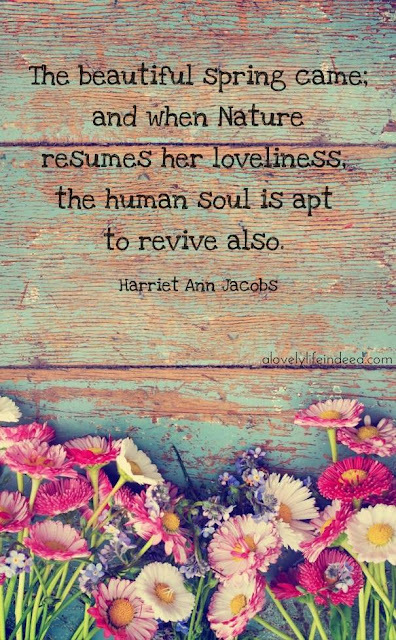 My quiet time to recharge is necessary. And that's okay. If he wants to paint, I can prep the tape and then get out of the way. We make a good team. I also can focus on what I do best. For example, given the paper clutter issue we have, I have taken over the remodeling paperwork. Receipts, color swatches, contracts, and other papers have now been organized into a readily available "house folder." #teacherorganization Now, I know that even when I can't quickly access one thing, I can, at least, find the receipt for X when we have to go back to Lowe's again to return or exchange it. Yin and yang. Another small win: With the stove currently in the dining room as we await the plumber (it's propane), I decided to try my never-used Instant Pot that I bought six months ago. I began with the water test, moved on to cook a dozen eggs, and then that evening, tried a seafood cioppino, all with great results. It's a new relationship, but I'm smitten. Luckily, our current project will be wrapping up soon. And it looks great! As with any long term project, it's time to revisit our long term goals. Where are we on timing? What action steps come next? What do we need to do to keep moving forward? It's a big, exciting, occasionally overwhelming, ongoing critical conversation. Through it all, I've learned that we balance each other well. We understand and appreciate each other's strengths and challenges and we share a common vision for our future. It's exciting and occasionally overwhelming, but nonetheless, it's indeed, still lovely. We made it through another winter! Cheers to spring! As a New Englander, most people assume that my favorite season is autumn or the much too brief season of summer, but they're wrong. Nothing is sweeter, for me, than the Spring. I enjoy the fall, but it leads to winter and winter's lack of light, the added layers, and the biting cold batter me on every level. Through frosted car windows, icy walkways, and snowy cotton-ball covered tree branches, I try to see the beauty of winter for what it is. As I get older, I appreciate winter more for its power to slow things down, giving me time to reflect and rejuvenate myself with new goals and experiences that seem to lend themselves to sunnier, warmer days. The eye-squinting warm spring sunlight makes me giddy like a toddler anticipating a surprise. Fewer layers lighten my body and my spirit. The budding trees that give way to full green foliage causes me to pause and admire in the same way I would stop to admire the changing of colors in the fall. The cooing of mourning doves when I take out Gracie in the early morning light and the buzzing of bees around our budding rhododendron remind me that we're all happy to see Spring arrive, allergy sniffles and all. We survived another winter. 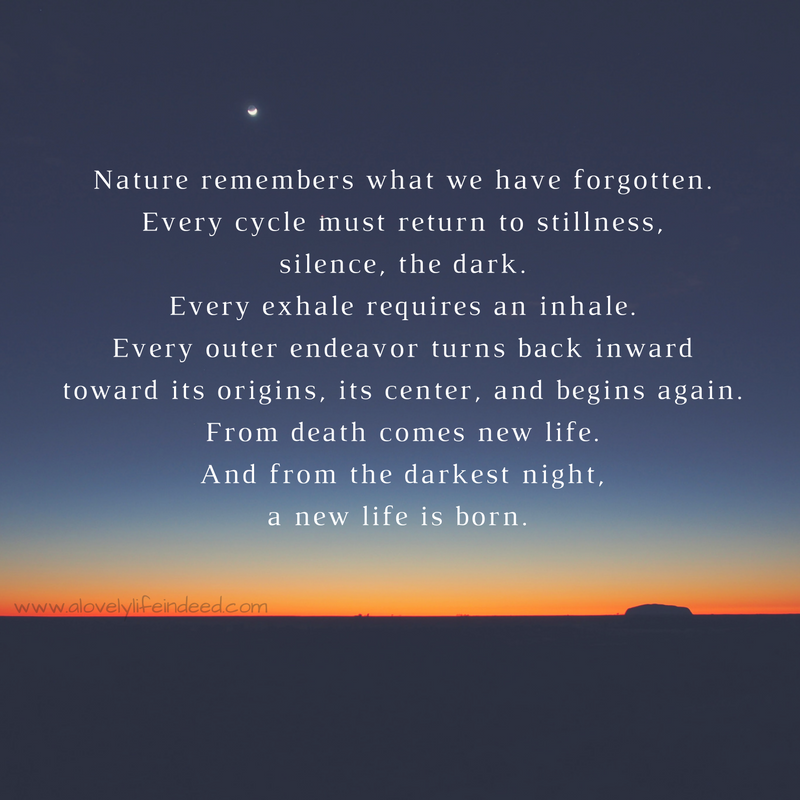 It's time to step out into the light, stretch, and give thanks for another opportunity to revive and thrive. I love graphic tees. I tend to use them to share my vibe. 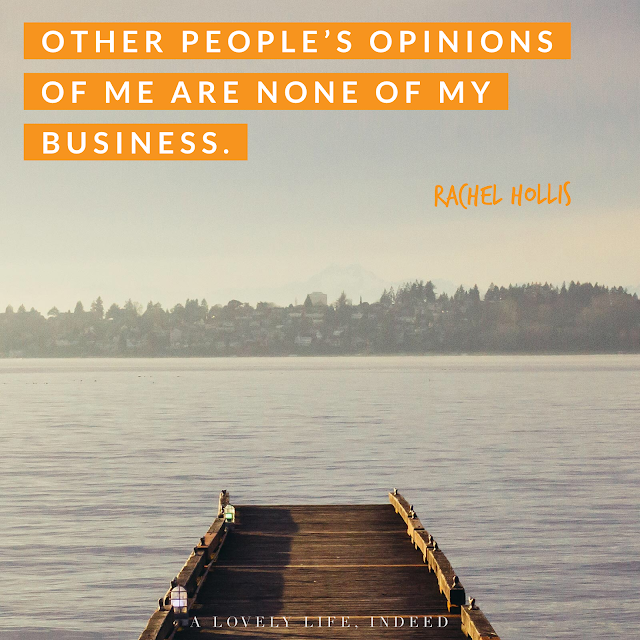 A second adolescence, maybe, but as Rachel Hollis said in Girl, Wash Your Face, "Other people's opinions of me are none of my business." Rock on! This is an intriguing concept, whether you're an established digital nomad or just curious about the lifestyle. Here's a mini documentary about Digital Nomad Cruise and why it may appeal to you. Nothing says brunch like runny egg goodness, Benedict style. 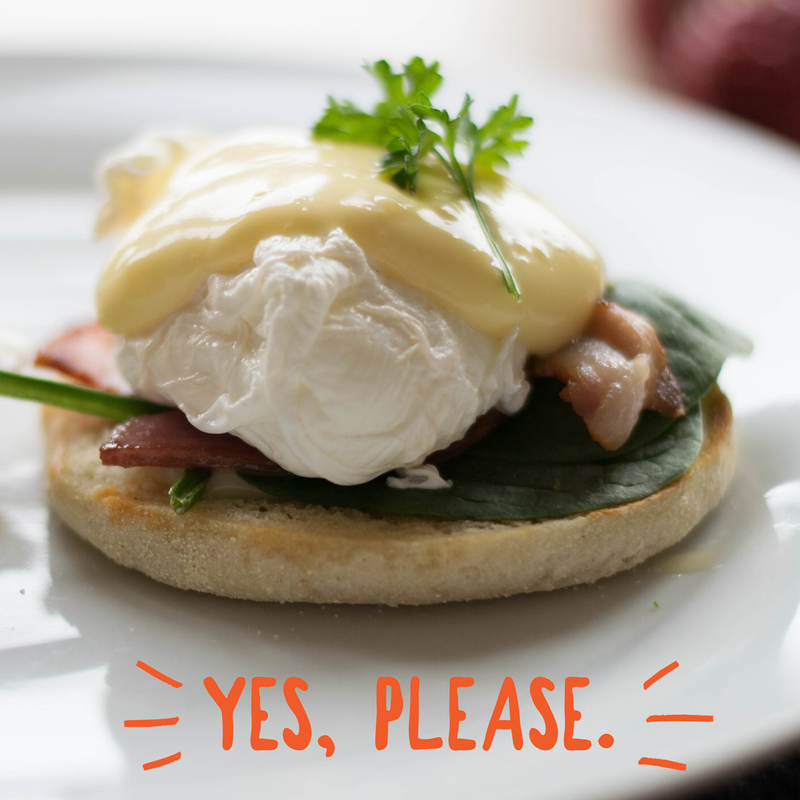 I prefer savory foods to sweets when it comes to breakfast and brunch, so Eggs Benedict creates the perfect bite. I'm not a fan of the traditional style with Canadian bacon ham, so I seek out variations, like crab cakes or short rib or avocado to mix it up. Check out Buzzfeed's collection, from pulled pork to a corn bread base to elevate your benny to hipster level. Thanks for Stephanie for the post idea. 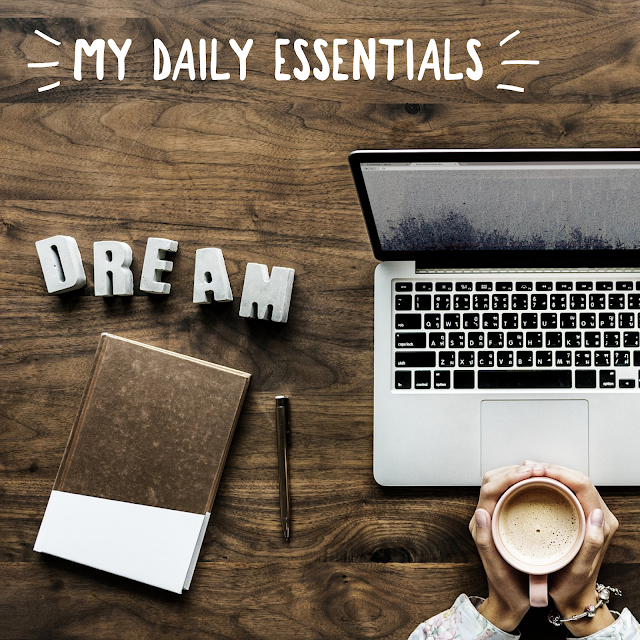 Essentials might be a strong word, but nevertheless, there are things we all enjoy having in our lives on a daily basis. They might not be essential in a life-sustaining way, but they make life much more palatable every day. I'm a hot coffee kind of girl, even when it's 90 degrees. I don't want fancy coffees or even iced coffee first thing in the morning. I need my regular hot black coffee that I make myself and add my own sweetener and favorite creamer. I sit and sip and I may read or watch the news. It's my time and my coffee my way. Since I work online, my computer is non-negotiable. It's how I earn a living. And it gives me an easier platform to monitor travel deals than my phone. But, since all of my devices are Apple products, I enjoy the seamless sync that keeps everything organized. I know it's another tethering device, but it's a convenience item that makes me more time efficient and productive. And I love having a camera and video options so handy. I am someone who grazes. I tried the three meal thing, but it's just not for me. Having snacks nearby ensures that I have a healthy option and that I have the opportunity to eat when I'm hungry. Having a refillable water bottle is necessary for the same reasons. Good for midday snuggles and stand up and play reminders. We all should be so lucky. Even though I work from home, my car is necessary for life errands. We don't live in an area with great public transportation, so my car is a lifeline. What about you? What are your daily essentials? Thanks for Steph and Steph for the fun post idea. This week was a wash. With both of us dealing with the flu and a busy week at work, it was not the most productive of weeks. It started with a cold last weekend...from me. 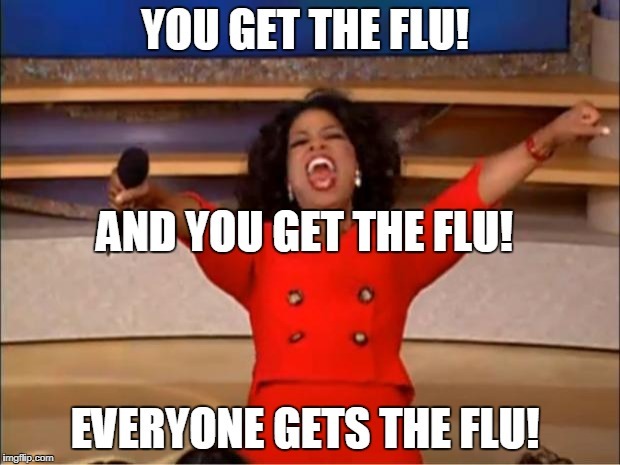 Then on Monday, he got the flu. Then, 24 hours later, I had the flu. Both of us, sick, at the same time. When you're both sick, it brings up an interesting relationship dynamic. When he's sick, my husband likes to retreat to our bed until most symptoms have quelled. I also sleep when I'm tired, but move around because I crave the comfort that comes from physical closeness. I may sleep on the couch or in our bed, but I need to move and be physically close, like when I was a kid and it was my Mom who stayed close by with a glass of water or her hand on my head, checking my temperature. Luckily, we're both on the mend. My fever finally broke and most symptoms have subsided. He's back at work and feeling more like himself. Now, for me, it's reintroducing nutrition and movement so I can get to my CrossFit Opens workout, 19.1 this weekend. What's the dynamic like in your relationship when one or both, you and your partner, are sick? Finally, we seem to be seeing our way out of the Polar Vortex. While I understand that March will enter like a lion, I'm hoping it's a cub. I'm ready for Spring. When you work from home, you can marvel at the weather phenomena from the comfort of your pajama bottoms and a hot cup of coffee. My boots and jacket are near the door, but in the winter, I nest. 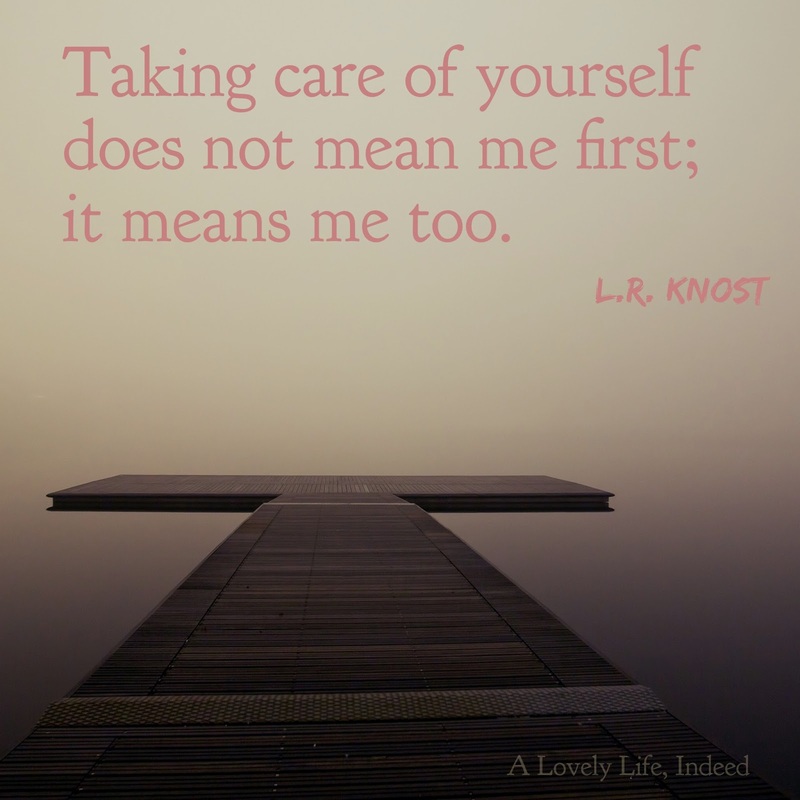 I'm sure that we all nest in our way...hunkering down and making things comfortable in our homes for our body, mind and soul. What brings you comfort? What are your winter must-haves? 1. A hot cuppa something. Wrapping my cold hands around a warm, steaming mug makes me smile. 2. A warm blanket. We received a lovely afghan for our wedding that is never far from sight in the winter time. From Netflix binging on the couch to sneaking in a mid-afternoon nap, this is my go-to lap warmer. 3. A stash of favorite movies and streaming shows to watch. Sometimes I seek out movies set in far off tropical locations and escape New England winter, even if just for a couple of hours. 4. Great soups. Some people think New Englanders have clam chowder running through their veins. In the winter time, it could be true, but a steaming pot of vegetable soup or stew is better than any restaurant offering on a cold, damp night. 5. Thick socks and warm boots or slippers are non-negotiable. Cold feet? Cold everything. 6. Oversized sweaters that are big enough to layer as many long sleeves and thermals as you want underneath. 7. Warm fleece scarves. Like comfort food, warm scarves provide that extra layer of warmth and the softness of fleece is a welcomed bonus. 8. Baking. Whether it's cookies, brownies, pizza, bread or anything else your heart desires, baking not only sends an amazing aroma through the house, but it can also quell even the most carb-crazed sweet tooth. You can clean it up with recipe substitutions or go old-school and enjoy it in moderation. And heating up the oven makes for a toasty warm kitchen. 9. Red wine + homemade pizza for two = Perfect. Date. Night. 10. Someplace to go. 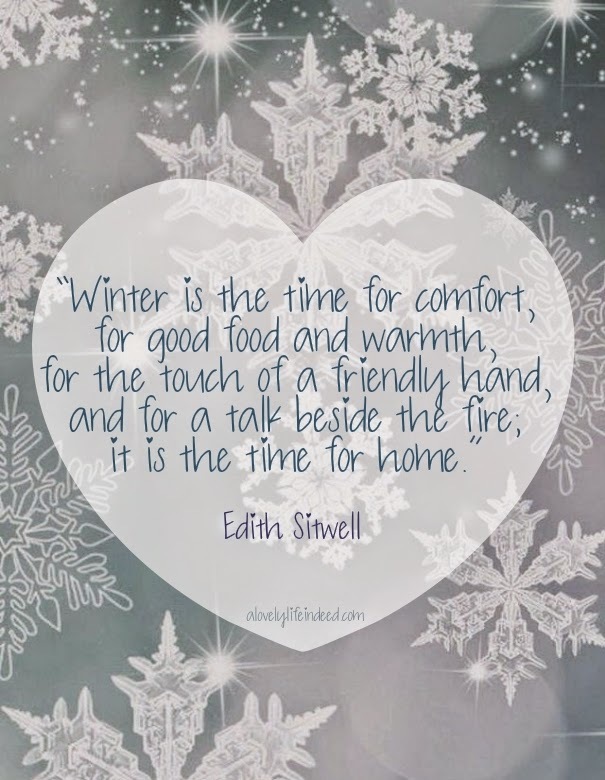 For those of us in the Northeast, winter can seem like an eternity...truly, a never-ending season. The remedy to cabin fever can be as simple as a weekend getaway to a B&B with a roaring fireplace or jacuzzi for two. Or it can be a vacation to someplace warm and tropical. Or you can embrace the season and go ice-skating or take a sleigh ride at a nearby farm. Hibernation be damned. Those are just some of the ways I nest in the winter. 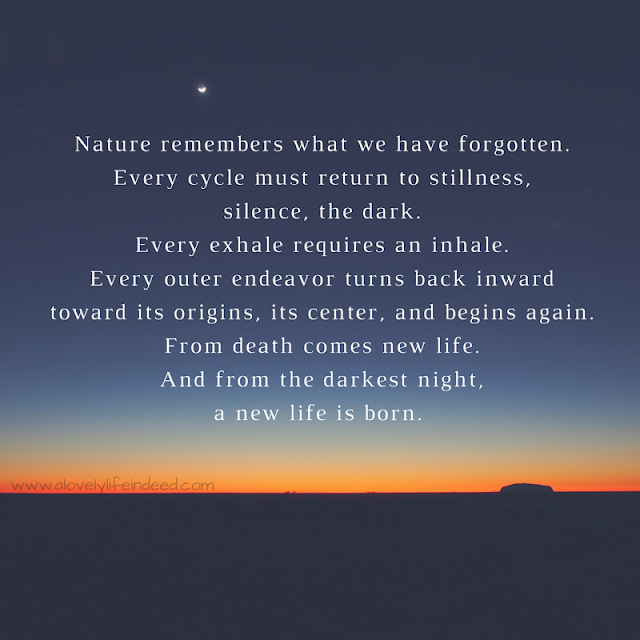 Until Spring, enjoy the stillness of Winter, in all of its teeth-chattering glory. Much to the dismay of my mother, I've always been the one in the family to test the limits on what she would consider normal, safe behavior. My answer to her why has always been why not? Change is scary, but so is regret. Today, life is good, but many of the blessings in my life have resulted from risk and a willingness to try. And with risk comes fear. No one likes to feel vulnerable or get hurt when things don't work out the way we intended, but what's the alternative? My opinion? Feel the fear, and do it anyway. You don't have to conquer the world today. Start small. Not ready to run a marathon? Download and follow a couch to 5k app. 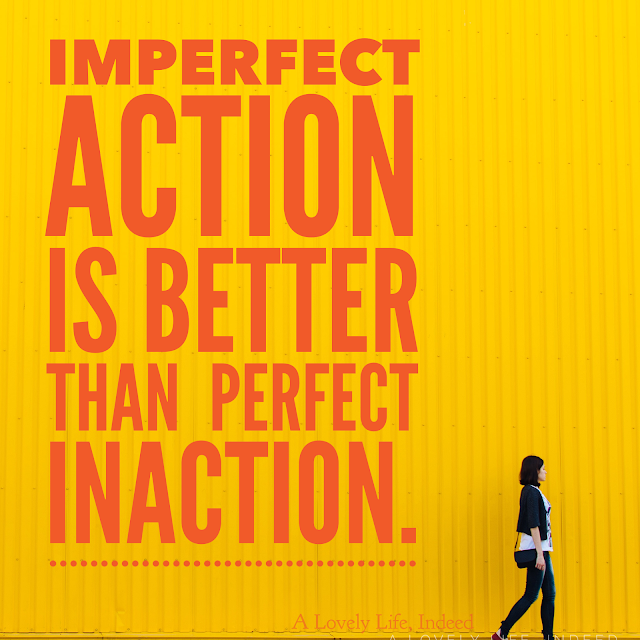 Imperfect action is better than perfect inaction. 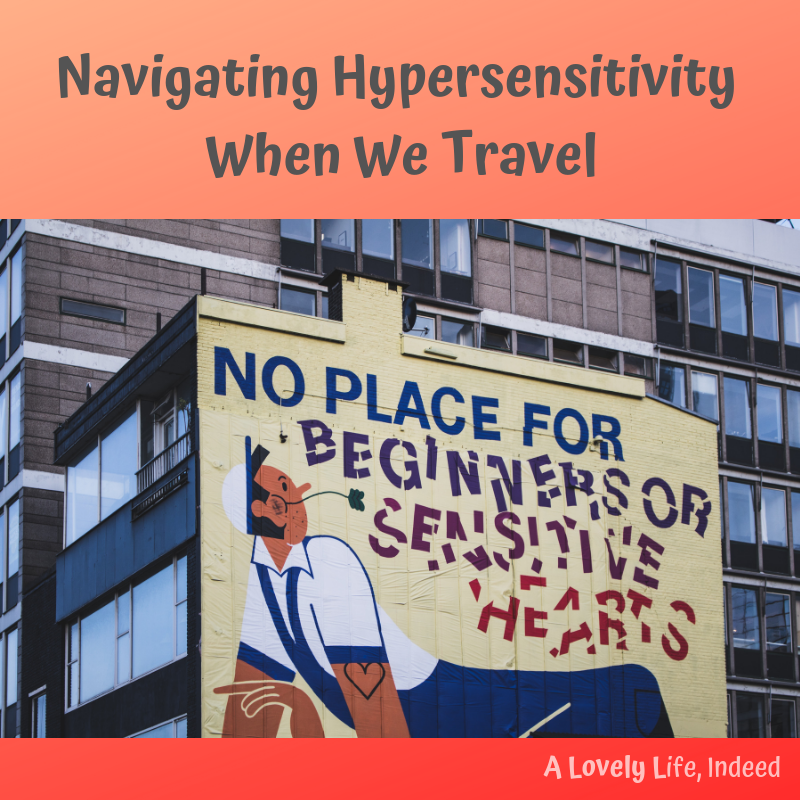 Not ready to sell everything and explore the world? Venture away for the weekend or explore your own capital city. 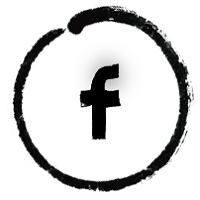 Want to enlarge your social circle? Try a meetup group around something that interests you or start one of your own. Not ready to Konmari your house? Clean out your junk drawer. Want to feel like you're making a difference? Pay it forward in your coffee line, donate your tidied closet leftovers, volunteer an hour for a cause that means something to you. You don't have to do everything, but everyone can do something. Every day is a new opportunity. What lights your fire? Do that. As I creep closer to 50, I'm starting to put together lists of life experiences that I don't want to miss, like places to see, concerts to attend, and other treats I have envisioned myself doing at some point in time. Today, I've been thinking about music. This is not a wish-list because I have had the opportunity to experience a couple of these already, but overall, these are musical experiences I don't want to miss. 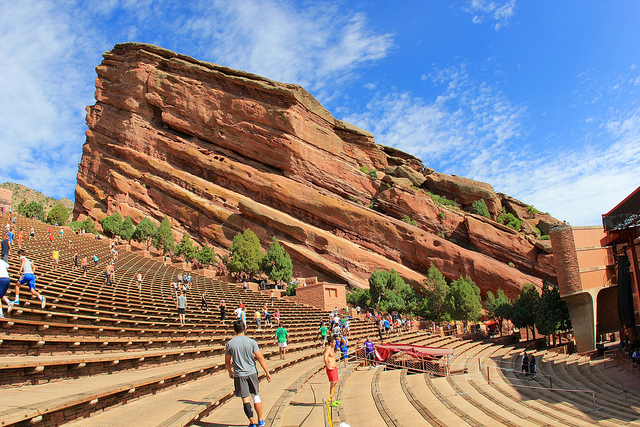 This open air amphitheater is about 10 miles outside of Denver and has been known for live recordings, given the unique visual aesthetic of the venue. This year, I am going to a concert at Red Rocks...on...my...birthday! I can't wait! More on that later. I've seen theatre in the West End of London, but never Broadway, USA and that has to change. I don't know what my first show will be, since there are many that top my list, but before my 50th, I will see a show on Broadway. Frustratingly, theatre in London's West End is more affordable than matinee prices on Broadway. The hippie in me loves the idea of a summertime, open air acoustic rock or folk music festivals like the Green River Festival or Fresh Grass Festival. I'm not a die hard though; if it's raining or cold, I'm out. 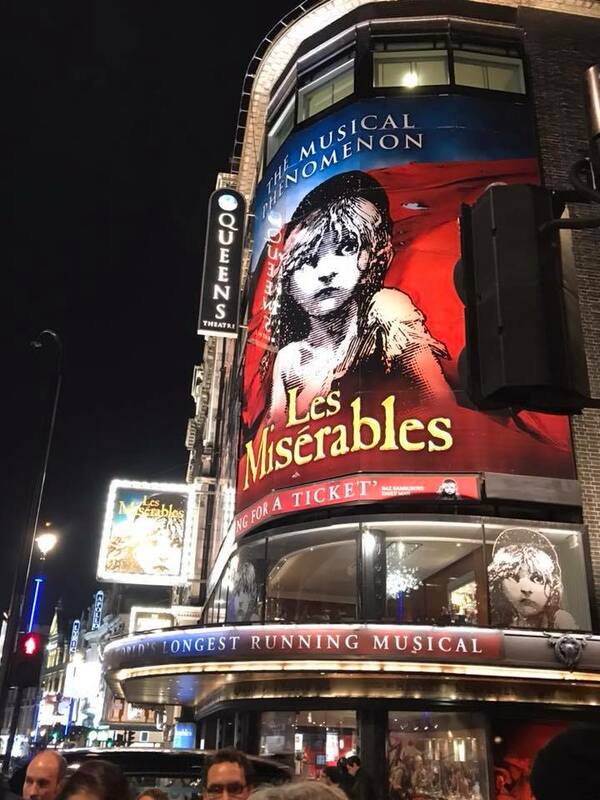 From the first time I heard the music of Les Miserables, I knew I had to see it live in London, where it all began. For my first time in London, my ticket was in the pit, in the second row, to be exact. The second time, we were in the dress circle; still amazing seats, and worth every pound sterling. For a Parrothead, this is the holy grail. 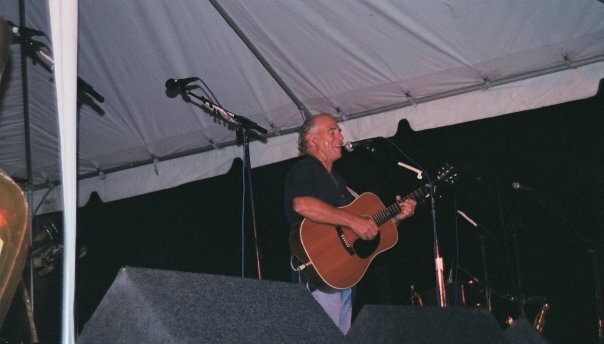 I had the opportunity to see Jimmy Buffett play in the back yard of the host hotel for the annual Meeting of the Minds Parrothead Convention in the early 2000s...2004, maybe. After hearing a rumor that this would be the year he would appear, my friends and I gathered for pre-concert drinks and found our space to wait in the backyard of the Casa Grande Hotel in Key West, Florida. Sure enough, the focus turned to the left of the stage and there he was! He played for almost two hours. It was my one and only MOTM to date, but what an event! Future shows pale in comparison to having a front-row experience in such an intimate setting. And a 6th for good measure...a summer concert at Tanglewood. I had the wonderful opportunity to get tickets to John Williams Night at Tanglewood one summer for my husband's birthday. We brought lawn chairs, a blanket, and a picnic basket filled with wine, cheese, a baguette and hors d'oeurves to enjoy under the stars while listening to the iconic scores of composer John Williams. If you're ever in New England in the summertime, this is a fabulous treat! What concerts or musical experiences top your list of must-sees? 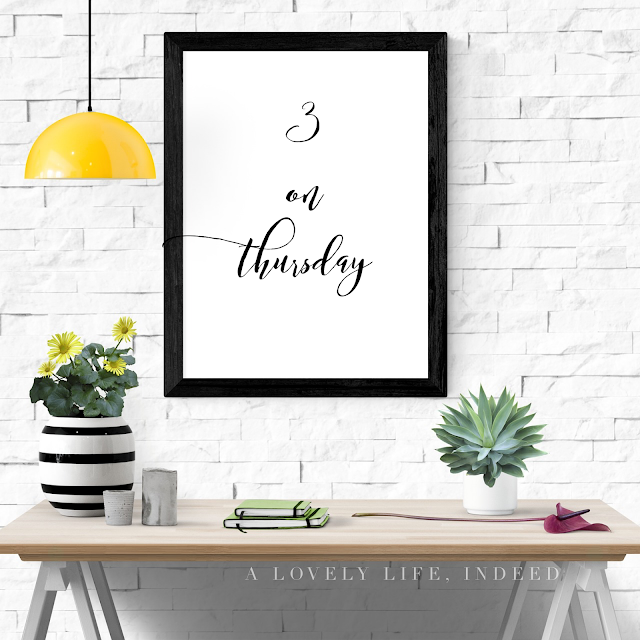 It can be difficult to maintain connections outside our inner circle as long work days turn into nights spent catching up on chores that never seem to get accomplished. Some of us have families, some of us are caring for aging parents, and some of us are just trying to keep our heads above water. While it's important to connect daily to those we cherish most, it's also important to connect to others outside the inner circle who share similar goals and challenges, similar circumstances or choices or similar interests and curiosities. I had the wonderful opportunity recently to connect to some like minded folks and it went so well, that we all expressed interest in doing it again next month. Sitting around the table, we are all different people joined by a common thread; and it's that common thread that rejuvenates us and allow us to connect with people who "get it." We shared stories and successes and brainstormed solutions to challenges we face. We all left feeling empowered and connected. Think about where you are in your own life, what you like to do, what you want to do. How can you network within those parameters to create connections and expand your social circle? Maybe there's a meetup group tailored to your interest? Maybe there's a book club you can join or start your own around topics geared toward your own interests and goals. Maybe you start a monthly coffee connection with people in your season of life or an accountability group to help you stay focused on and achieve your goals. Maybe there is a networking group to help you create professional connections or a group with those who share your faith tradition or your favorite sport or hobby. It doesn't have to be strangers. Maybe there's someone with whom you've lost contact and with whom you would like to reconnect. Maybe you're the bridge to bring others together and potentially create lifelong friendships. It's hard to make friends when you're older, but building your circle of friends is worth the effort. Reach out. Build bridges. That human connection is a win-win. Do you keep room in your life for new friends? 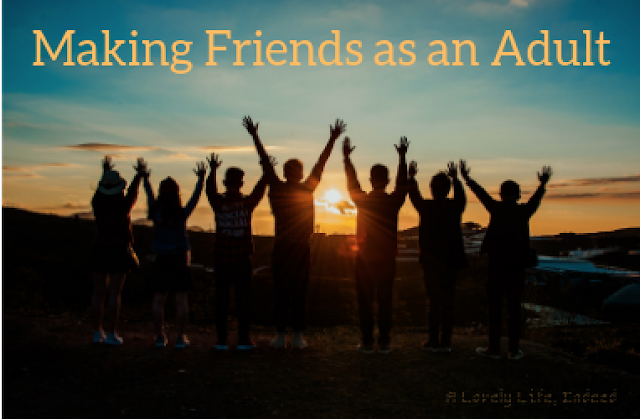 How do you cultivate new friendships?